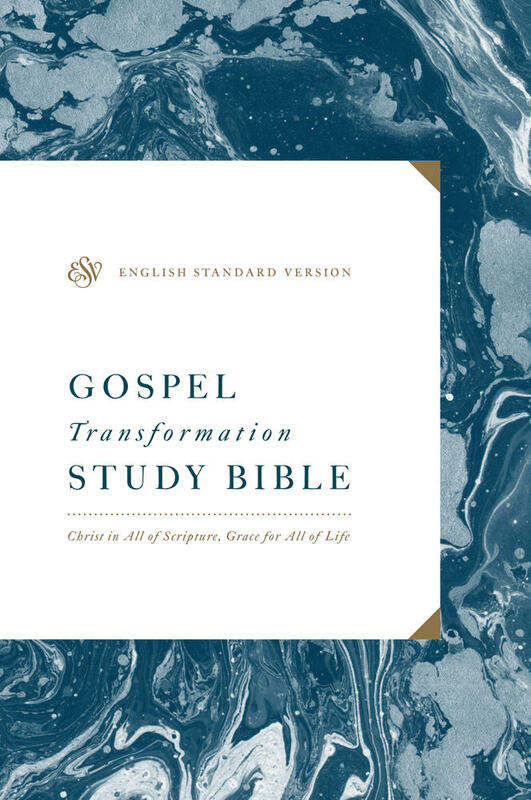 In this interview, Bryan Chapell, general editor of the ESV Gospel Transformation Study Bible, helps us understand how to approach the Old Testament—a section of the Bible that can often feel confusing and intimidating—and encourages us to read it with an eye toward the overarching narrative tying it all together: God’s gracious redemption of sinners culminating in the life, death, and resurrection of Jesus Christ. Bryan, thank you so much for joining us on The Crossway Podcast today. You’re welcome, Matt. Good to be with you. A lot of our listeners are pastors. A lot of people involved in ministry in some way. Maybe they’ve been to seminary. Maybe they’re just avid Bible studiers on their own. And one of the things that I think we often struggle with is knowing how to read the Old Testament. Why do you think it’s such a challenging thing for us to figure out? Well, I’m sure some of it is that we tend to read very atomistically. We see a command, You shall not steal, and we say, Well, what should I say about that? Well, I should tell people not to steal. And since I’ve got the Bible verse that backs me up, what could be wrong with that? Or we look at some historical account and say, Samson—he had long hair, he was strong. When he had short hair, he was weak. Therefore, you should have . . . well no, that doesn’t quite work. Well, what am I supposed to say out of Samson? So it seems like people who are maybe sometimes skeptical of a Christ-centered reading of the Old Testament they’ll often say, “Hey, you’re ignoring the historical context. You’re ignoring the Biblical context of that passage.” But you’re saying that there’s an even bigger context when you look at all of Scripture that should inform how we approach even individual texts. Is that right? I’m saying exactly that. That there is a context always to be perceived. And actually good people who are expounding the Scriptures, they have a right concern to say we can’t just impose something on the text that’s not there. I actually want to strongly agree with that. And so there are often people who say, “You’re just imposing the New Testament on the Old Testament to give it a Christ-centered reading.” And I want to say that I recognize that would actually be a mistake and it’s not what I am suggesting or what any good Bible reader suggests. But rather we’re saying that there is a redemptive message that God is unfolding that culminates in the work of Christ. A mistake that I think can happen when people try to do what’s known, wrongly, as a “Christ-centered reading” is they try to make Jesus magically appear in every Old Testament passage. I don’t know how you do that. Sidney Greidanus used to call it “leapfrogging to Golgotha.” You take some reference in the Old Testament, like when Moses met the daughters of Jethro at the well of Jacob, and think Oh, Moses met women at a well . . . women at a well . . . Oh! That’s about Jesus meeting a woman at the well! No. That’s not what we’re doing. We’re not taking wordplay and trying to turn it. We’re saying, What is God revealing about his gracious nature when a murderer is escaping to the desert and God provides for him what he cannot provide for himself? Water in the desert. And by that a way to a life for a time until God delivers his people with that same person. And what we’re discovering is God providing for people who cannot provide for themselves. That’s a message that’s going to take many dimensions until it comes to fulfillment in Christ. Christocentrality, rightly interpreted, is not trying to make Jesus appear where he is not. It’s displaying God’s gracious nature that comes to fulfillment in Christ. So we’re putting, as it were, the pieces of the biblical message in their proper order and proportion and point until we actually see what they are pointing to, which is the message of Christ. So on that front, would you say it’s wrong to preach an Old Testament passage without connecting it in some way to Christ? Some people will struggle with feeling like they have to mention Jesus in every Old Testament passage. But I’m actually not saying that you have to mention Jesus in every Old Testament passage. However, you do have to show the relationship of that passage to God’s redemptive message. God is not just saying that you just be a good person and you’ll be okay with God—that is not the message in any part of the Bible. God is instead revealing that he must provide the way of escape from our human fallen condition. Having said that, if you know that the person is not the one who is rescuing themselves, then say, God is revealing in this passage his gracious nature in the face of human limitation—which finds its fullest expression where the Bible itself is going: in the ultimate ministry of Christ. I’m not trying to say that every passage means Jesus. That’s where you get some sort of allegorical imposition and that’s certainly not what I’m suggesting. I know that there are many people who righty want to protect the message of Scripture and refuse to preach Christ where he’s isn't. And they are exactly right—but the grace of God is there. God is revealing his answer to whatever that human predicament is, some aspect of human fallenness is on display and God is somehow revealing his gracious nature and that comes to fulfillment in Christ. So I’m not trying to take out my decoder ring and make Jesus, by some mystic code, appear in every Old Testament passage. And you have decades of experience preaching, and teaching others how to preach, so as you look at conservative evangelicalism—our neck of the woods—what would you say is the greater danger: is it that we would fall too far on the side of seeing Christ under every rock, so to speak; or is it that we don’t make the connection to Christ sufficiently when we preach the Old Testament? Honestly, I think the greater danger is the latter one. Often I hear people teaching others to just be a better person, improve their performance, improve their competence, know more, or do better. And the problem with that is it actually just serves the human instinct. People think that they are the answer to their problem with God. If all I am regularly doing is teaching people to improve their competence or improve their performance, then they will inevitably perceive themselves as their own redeemer. And that becomes the problem. People will do better so the ogre in the sky will be nice to them, or do better so that they can compare to other people—either in doctrine or in performance—and that will make them acceptable to God. Now, nobody would answer it that way in the exam. But when we are constantly communicating that they should do better or know more, people will believe that what makes them acceptable to God this week is that they’ve done better or they know more than the people down the street. The gospel message, which is unfolding through all the Scriptures, is that God must make a way. You do not make your own way, God must make a way. And being true to the Scriptures is asking, If you do not make your own way out of your human predicament, if God has to make the way out, how does he ultimately do that? I think grace is on display virtually everywhere. If God is giving food to hungry people, if God is giving rest to weary people, if he gives victory to a few people; what is God showing us about himself? He’s the rescuer. One related issue, as we read the New Testament, is that we see Jesus and some of the New Testament writers quoting or alluding to the Old Testament, and sometimes they do it in ways that are a little bit confusing, or they seem to go beyond the original context of the Old Testament passage, or apply certain Old Testament statements to other figures that wouldn’t be obvious if you were just reading the Old Testament. What should we make of their examples and in what ways can we learn from them? Or, in what ways do we need to be a little bit more cautious perhaps? Yeah, those are great questions. I recently said I imagine that one out of every three Old Testament—or New Testament—PhD dissertation these days is the use of Old Testament in the New. Here’s the basic issue: westerners tend to read the Bible in what I think is a very propositional, linear way—A leads to B leads to C leads to D. And we just want to know logically what that means. This is a very good thing to do.We’ve taken our logical, grammatical tools and we say, Just tell me logically what that means. But many of the Hebrew writers and readers were not simply looking for propositions—tell me what that sentence means—they were looking for patterns. What is the pattern by which God is relating to his people? That God is rescuing people from slavery in the Old Testament. When Matthew tells us that Jesus’s family came out of Egypt, he quotes Hosea, “Out of Egypt have I called my son.” But Hosea wasn't referring to the Messiah coming out of Egypt there. So what was Hosea referring to? He is being reminded that Moses said to Pharaoh once upon a time, “Let my son go!” and God was referring to Israel, and Israel came up out of Egypt as part of the deliverance of the covenant people. That deliverance out of Egypt happens over and over again in the Old Testament. So when Matthew looks at Jesus’s life and sees that Jesus came out of Egypt again to rescue his people, he isn’t claiming that’s exactly what Hosea meant. Matthew is saying, There’s the pattern again. So we should be looking for the patter that God is revealing. Honestly, this is not the way I normally encourage people to go to try to discern Christ in the Old Testament. Clearly there are literary and typological references that get us into a lot of debate. But I find that people who are trying to get into Christ-centered preaching just get mired down in the debating whether something is typology or allegorical or literary, but even the best scholars are debating the fences of this fertile field of exegesis right now, and no one is exactly sure where all the fences are because we’re not always good Hebrew readers. So here’s what you can always do. You can take any text, Old or New, and ask what that text tells you about the nature of God. It will be telling you that God is in some way providing for people who can’t provide for themselves. Then you can ask what this text tells you about humanity, about yourself. It'll telling you that you are not your own answer. You're not your own deliverer. We can put on what I call “gospel glasses” and ask two questions of any text: What is this telling me about the nature of God who provides redemption? What is this telling me about the nature of humanity that requires redemption? When we ask those questions, we are not imposing the New Testament on the Old. That’s not making Jesus magically appear. The message is that there is a gap between my humanity and God’s provision, and God has to bridge the gap. Somehow that message is appearing here in this text and Christ is the culmination of that message. Another area where I think a lot of us struggle is when it comes to prophecy. How have you seen conservative Christians misunderstand Old Testament prophecy when it comes to Christ? I will see people interpreting the prophets without Jesus at times. Quoting Isaiah, “Comfort, comfort, ye my people,” and they give a long sermon on the comfort that God provides his people, forgetting that is a messianic passage. So if it’s clear prophecy, then often the problem is not having a proper reference for the prophecy—is this a first coming or a second coming? Or is Christ mentioned at all as we are doing the proper interpretation? So if it’s a prophecy, I think the commentators really help. I would use a good study Bible or go to a commentary, and then I think you’ll get the prophecies right. Granted, there are discussions about disputed messianic psalms. Is Psalm 1 a messianic Psalm or not? But most people agree that Psalm 16 is messianic, not much discussion there. Or Psalm 22, not much discussion there. So I will grant you there are places that will have our discussions and our debates. But for most preachers, day in and day out, if it’s a clear messianic prophecy, just get Jesus in there, that’s what’s being said. You mentioned the Psalms. How might a sensitivity to literary genre help inform how we go about preaching Christ in the whole Old Testament? That's a great question. The way that I sometimes try to help people is to say certain passages of the Old Testament are clearly predictive of the work of Christ. The prophecies bridge the genres of the Old Testament. So if you’re in the prophecies or you’re in a prophetic portion of the Pentateuch—whether you’re talking about Genesis 3:15, the first gospel, the first prophecy of Christ; or Deuteronomy 18, the greater Moses to come; or you’re in a historical passage where there’s a clear prophecy—interpret it prophetically. But often what’s happening in the Old Testament, whether you’re in a history or wisdom literature, is we’re being prepared. I can ask people how we’re being prepared to understand what God would do in Christ. And often in the histories, there are both bridges and dead ends. There are things that are bridging our understanding. Whether it’s the Passover or the exodus, we’re being told ultimately that God can release his people from slavery. That he can have his wrath pass over by the shed blood of the innocent. We’re being prepared. And certain things are dead ends. For example, the human kings are not the answer. The human prophets are not the answer. We need a better law keeper. We need a better sacrifice. So learning to read the dead ends as well as the bridges is part of our preparation. And I think reading the Scriptures with an understanding that whether you're in prophecies or histories, or even wisdom literature, you're being made to understand that God is somehow showing me that he is the way out. And the key to all of this is the question of how was the passage reflecting God’s redemptive nature. If I’m in wisdom literature, what am I learning? I’m learning that God’s wisdom is the way that I make it through life. That the best answer is not a human solution, it’s a divine solution. And if I will ask God, he will grant liberally and without reproach what I need. So I’m not looking for, as it were, a promise in a proverb. “Train up a child in the way he should go, and when he is old he will not depart from it,” is not an absolute promise. Sometimes good parents have bad kids and I don’t interpret a proverb as a promise. So what do I interpret a proverb as? I interpret it as a proverb. Wise words given from God. Things that tend to be true so wise people lay them to heart. And this wisdom is not just from my own mind and heart and experience. God has given me this wisdom and I’m learning to trust him. Why do I need to trust him? Because he’s ultimately telling me that the end of my wisdom is the One who became for me wisdom from God. My holiness, my righteousness, my redemption, as Paul would say. And so, wisdom literature is teaching me also of the work of God on my behalf. What would you say to someone who, whether or not they would say so explicitly, is a little bit suspicious of the Old Testament and its value for Christians today, maybe wondering how relevant it is? Maybe they’ve tried to read it before and they’ve found it less nourishing, less encouraging, less clearly related to the gospel than the New Testament. If you were to sit across from someone like that, what would you tell them they would be losing if they were to push aside the Old Testament and not spend any time there? I think they would lose is the message of how unrelenting the love of God for his people is. That despite multiple failures, difficulties, and rebellions, God is maintaining his love for his people and preparing for them a salvation that they could not prepare for themselves. If all I think I have is a bunch of moral commands and Aesop's fables and at the end of it all there’s a surprise Jesus, then I’m really not understanding how the Old Testament is put together. It’s put together to reveal to me how God is making a path for a Redeemer in order for his people to go all along that path to Christ, appreciating how unrelenting, constant, and persevering has God been in his love for his people. I need that so I don’t just think, Oh, the Old Testament. That was the mean God with a bunch of rules. And in the New Testament suddenly Jesus surprises everybody by being the nice God without rules. Neither image is correct. Instead what I’m meant to learn is, God is showing me all along my need of the Savior and in doing so he is preparing my heart, as well as the hearts of the nations, for seeing why Christ had to come and what he would do. 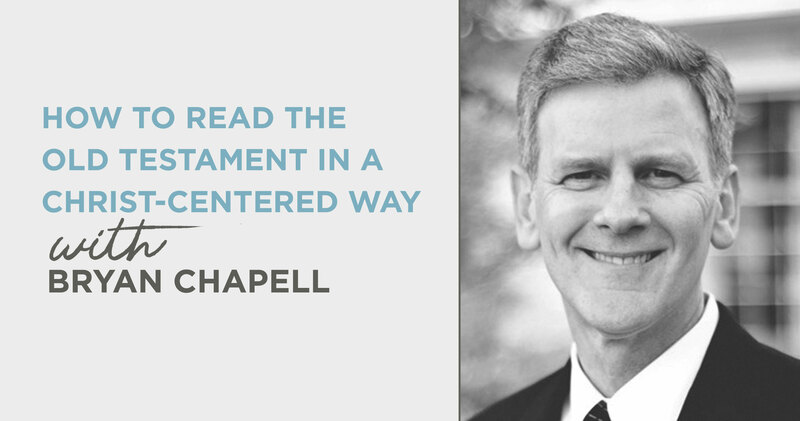 What practical advice would you give to someone who is eager to read the Old Testament with a Christ-centered perspective, seeing how all does culminate in Christ and the gospel. How would you counsel them to avoid jumping to Christ too quickly? What practical advice would you offer that person? But if you’re just saying, “Can you just help me today with this one passage?” Then I’ll say “Put on your gospel glasses.” Alright? One lense is asking this question: What does this tell me about the nature of God? And the other lense is asking: What does this tell me about the nature of humanity, of me? If we just put on those glasses and read any passage of the Old or New Testament, we’re going to start focusing on redemption. And that’s the goal. There can be a lot more complicated arguments and a lot more complicated understanding, but if we just put on our gospel glasses, what we’ll see is God providing for people who cannot provide for themselves, and that is helping us understand why we need Christ our Redeemer. When you put it that way, it makes me think that sometimes we make this more complicated than it needs to be. And more controversial! We don’t have to get into war with each other or blame one another for some sort of allegorical definition that nobody is actually trying to defend. I’ve at times had people say, I just don’t believe what you teach about Jesus being in every verse of the Old Testament. And I say, Great! Cause I don’t teach that! And I don’t know any wise scholar that actually does. So then, last question, you mentioned that if you just use those two lenses, ask those two questions, for any passage and that will get us started on this road. But what would be a first Old Testament passage that you would recommend to somebody who maybe hasn’t ever studied the Old Testament this way, or has always felt confused—what one passage would you point them to first? I would go to Genesis 3:15, because that becomes a theme verse for the rest of the Bible. When you understand that God is saying, There’s going to be somebody coming from this woman and that person coming is going to crush the influence of Satan, then you’re on the right study path, as it were. If you need more than that, Genesis 15: Abraham believed God and it was counted to him for righteousness. Ask, What is God teaching me in that doctrinal statement? You could look at Hosea 2. What is God teaching us when he says to Hosea, Take Gomer to be your wife and the prostitute becomes the wife of a prophet? And then God says, Even though she went after other men, take her back because such is the love of God for Israel. What am I learning? There’s no a message of Christ dying on the cross for my sin there in Hosea, but what am I learning? Such is the love of God for his people. Even when we have been wrong, God continues to provide covenant love for his people if we will trust in him. He is providing the way out of our human predicament—salvation by faith in the God who provides what we cannot provide for ourselves. And that is throughout the Bible. Bryan, thank you so much for spending some time with us today to discuss this—a fascinating, important topic—and for offering some very practical advice for reading the Bible better. You’re welcome, Matt. It was a privilege.